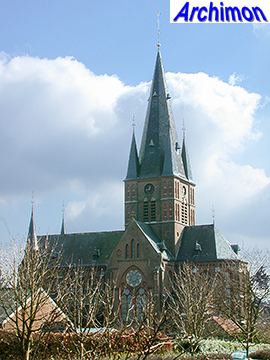 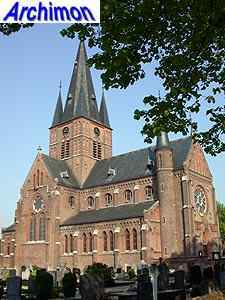 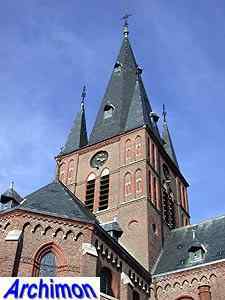 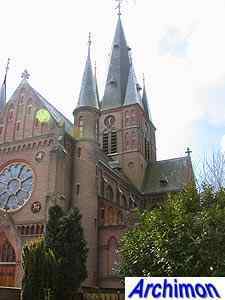 After the Reformation the catholics of Bergharen had lost their church to the protestants. 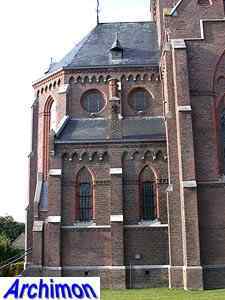 After almost two centuries of using provisional churches, in 1830 they built a new, real church, which by 1890 had become too small. 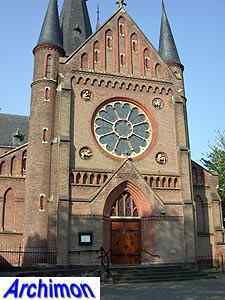 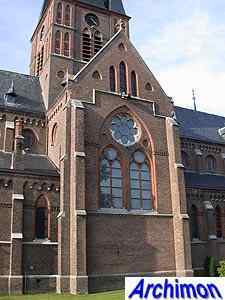 Architect C. Franssen was commisioned to design a new church in 1892. 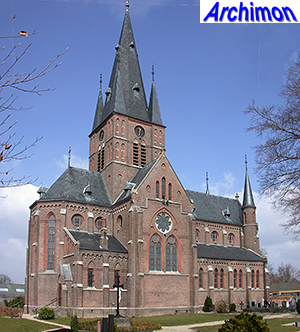 The church would become one of the most impressive ever designed by this architect. 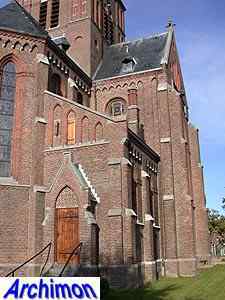 However, some parishioners feared that it would be too small. 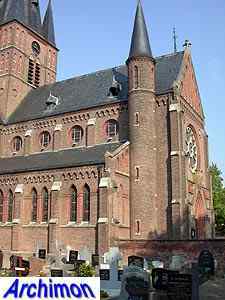 Because the foundations were already laid and the "old" church, which was still in use, bordered the construction site, the plan could not be changed. 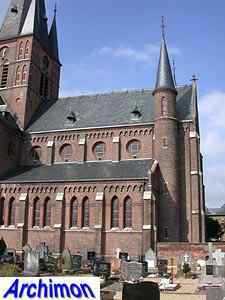 As usual for that time, it is in neo-Gothic style, a three-aisled cruciform basilica. 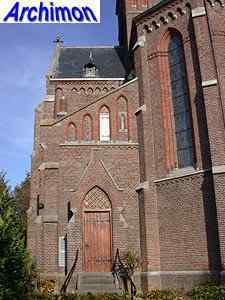 The church has a clerestory with circular windows and side-aisles with narrow, pointed ones. 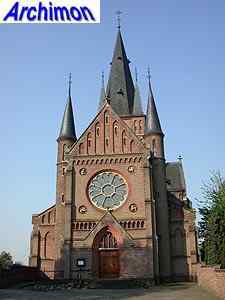 Possibly inspired by some recent work by his former employer P.J.H. 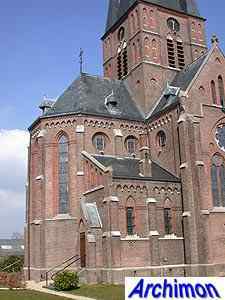 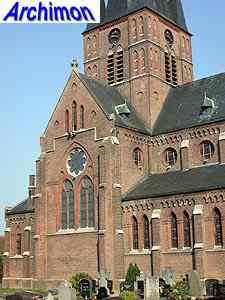 Cuypers, Franssen gave the church a big square crossing-tower instead of the usual west tower. 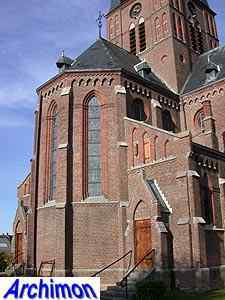 The front is flanked by round stair-turrets.